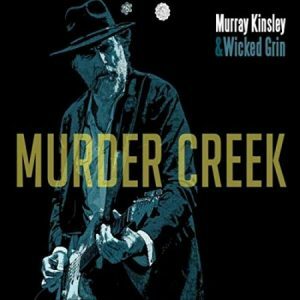 Murray Kinsley & Wicked Grin bring blues-rock from Ottawa, Canada featuring Murray’s blistering guitar skills and gruff vocals. 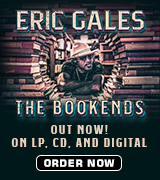 The musicianship is fine, but the lyric writing department is the weak link here. Tired clichés and road sagas galore. Wicked Grin consists of Rod Williams on harmonica, Leigh-Anne Stanton on bass and Bruce Saunders on drums. They are all more than competent on their given instruments. The guests that provide keyboards, horns, percussion and background vocals are of the same caliber. Murray is an inventive and energetic guitar man. Perhaps the strongest track is the driving “Trouble Coming”, a song that was written in reaction to the Parkland, Florida school shooting that occurred while the band were writing and rehearsing this CD. 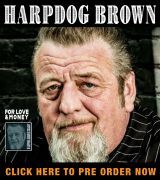 Rod’s harmonica burns here along with Murray’s slide guitar. Another worthy track is “Take Me Down” were the narrator seeks repentance for his boozing life. The harmonica and guitar playing are outstanding here. Murray utilizes a nicely textured guitar tone on “So Long, Too Soon”, a tribute to artists that have left us too early. The title song is a murder saga based on a true story with a little artistic license thrown in. Jesse O’Brien contributes rollicking piano to “My Own Way”. Murray’s skill as a guitarist can’t be denied. His playing has a driving and earnest quality to it. This along with Rod’s blistering harmonica set against a rock steady rhythm section are the saving grace of this CD. Maybe a few choice lesser known covers and some outside writing would make this a stronger outfit. With a little tweaking this crew could produce some really forceful and meaningful material. Here’s wishing them the best.